Exposure: 4 X 600 seconds with internal noise reduction on. Comments: I think my focus is just a hair soft. 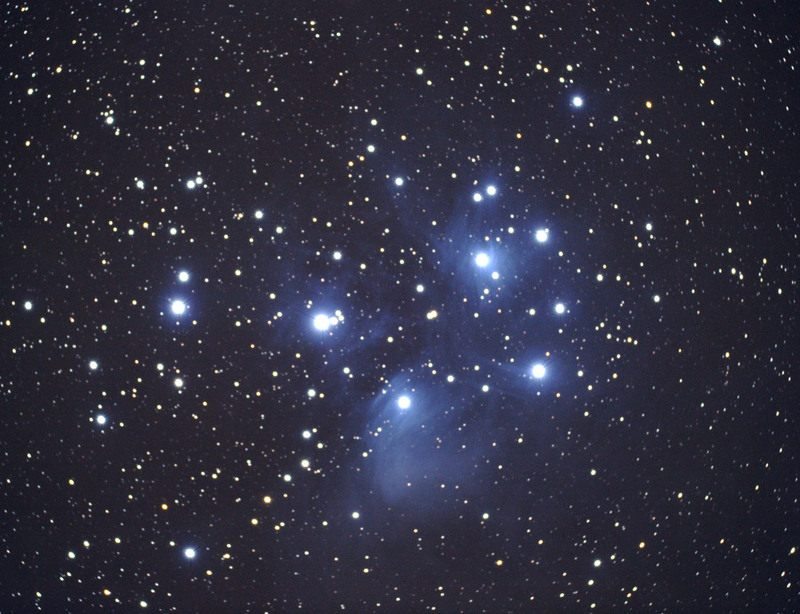 That being said I am getting happier with the detail that I am getting in M45. My goal is to get more differentiation on the filamentary detail in the reflection nebula. I will try this again with better focus!